The radiator is where the water that is needed to cool down the engine in your Land Cruiser is. 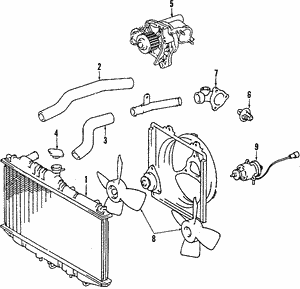 Without a working radiator, you run the risk of your engine overheating and causing serious damage to the engine and other parts. 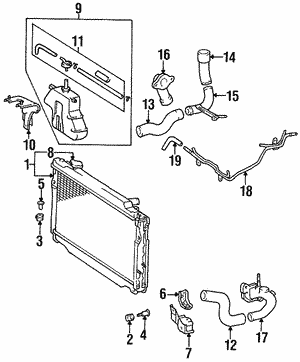 If you don’t replace a radiator that’s leaking or is clogged, you may crack a block or blow a hose. A cracked block can do terminal damage to your engine. 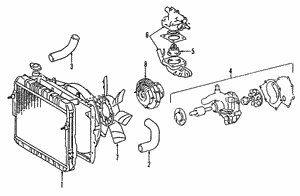 A radiator must be able to hold the proper amount of water needed to cool down your Land Cruiser, and that’s why when you replace your radiator, make sure you use a genuine OEM Toyota radiator for the proper fit and performance for your vehicle. 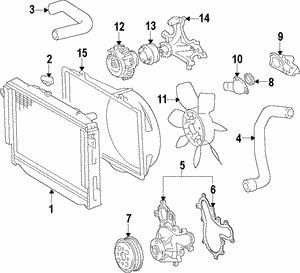 We carry only genuine OEM Toyota parts for your Land Cruiser. 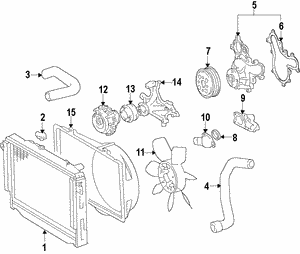 At Olathe Toyota Parts Center, you get more than genuine OEM Toyota parts and accessories. You get superior customer service from a highly trained staff who can answer any question you may have about this or any other Toyota part. 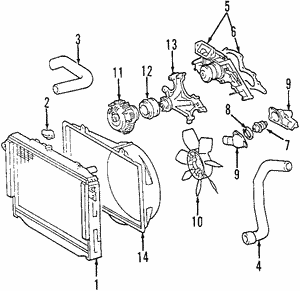 Order your new OEM Land Cruiser radiator today.